Venue: DK1, LKCFES, UTAR KL Campus, Setapak, Kuala Lumpur. 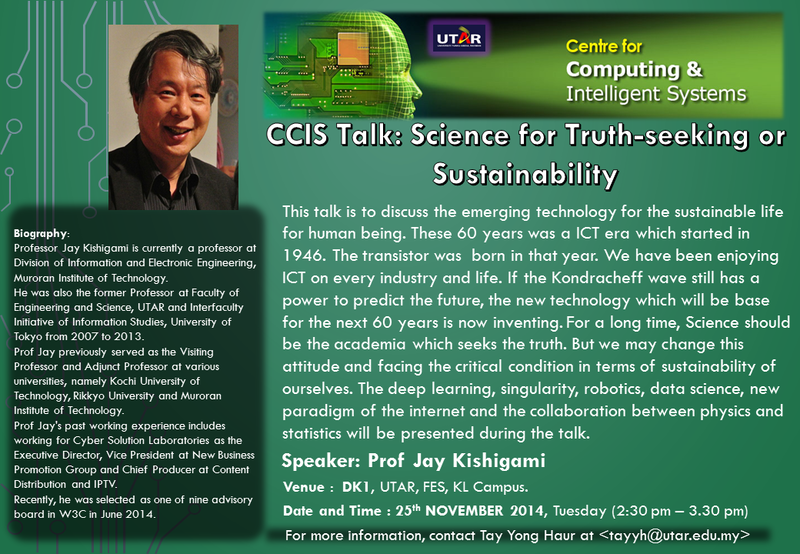 This talk is to discuss the emerging technology for the sustainable life for human being. These 60 years was a ICT era which started in 1946. The transistor was born in that year. We have been enjoying ICT on every industry and life. If the Kondracheff wave still has a power to predict the future, the new technology which will be base for the next 60 years is now inventing. For a long time, Science should be the academia which seeks the truth. But we may change this attitude and facing the critical condition in terms of sustainability of ourselves. The deep learning, singularity, robotics, data science, new paradigm of the internet and the collaboration between physics and statistics will be presented during the talk. 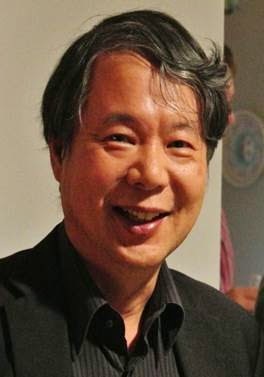 Professor Jay Kishigami is currently a professor at Division of Information and Electronic Engineering, Muroran Institute of Technology. He was also the former Professor at Faculty of Engineering and Science, UTAR and Interfaculty Initiative of Information Studies, University of Tokyo from 2007 to 2013. Prof Jay previously served as the Visiting Professor and Adjunct Professor at various universities, namely Kochi University of Technology, Rikkyo University and Muroran Institute of Technology. Prof Jay's past working experience includes working for Cyber Solution Laboratories as the Executive Director, Vice President at New Business Promotion Group and Chief Producer at Content Distribution and IPTV. Recently, he was selected as one of nine advisory board in W3C in June 2014.